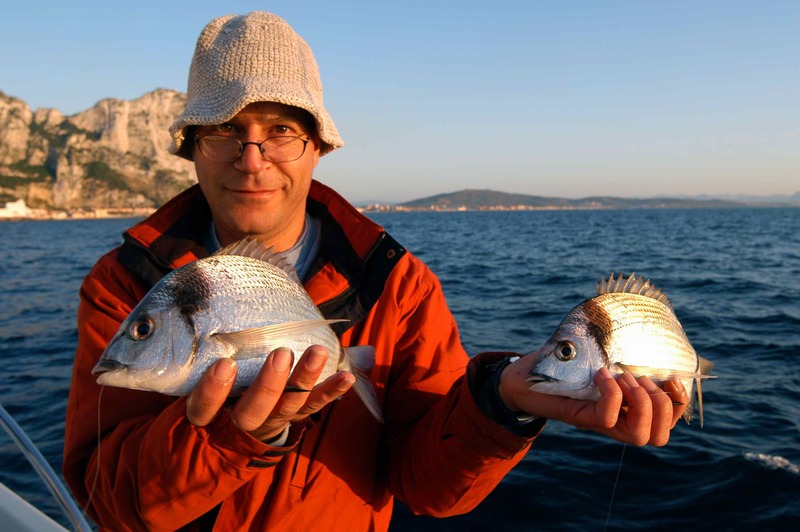 It was many years ago that I first read about the wonderful bream fishing available off the coast of Gibraltar. Writing in this magazine it was Mike Millman, who I was told still regularly visits this surviving outpost of the British Empire where he is held in high regard, had described his experiences fishing for and catching the mighty hurta, dentex and sama bream that swim in the fish rich waters that connect the Mediterranean Sea to the Atlantic Ocean via the Straights of Gibraltar, which also separate the coast of Europe from North Africa. Over the years I have sailed through the Straights on numerous occasions, and you might remember last year I fished for bass and dentex off Tangier on the Moroccan coast, but it wasn’t until April this year that finally I got my chance to wet a line in Gibraltar itself; an opportunity that came courtesy of an invitation from Alfred Enrile. Apart from having been born on ‘The Rock’, as I quickly discovered Alfred is as passionate an angler as any I have met. 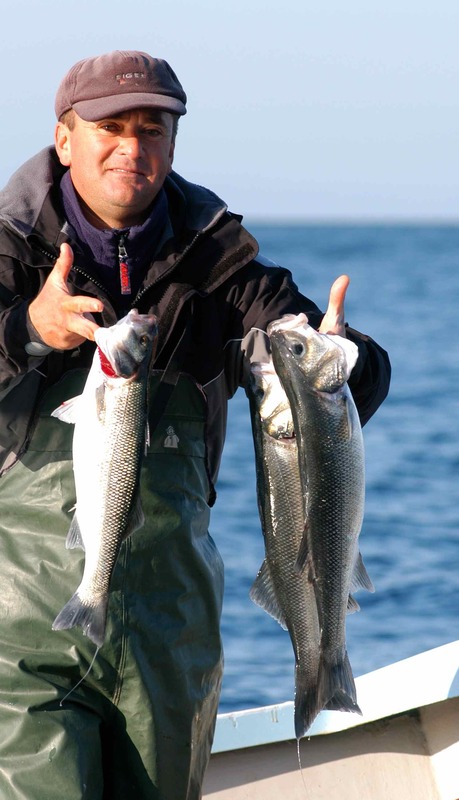 His great passion in life is fishing for bass and the various bream species that are found in these waters from his beloved Orkney Strikeliner 16+, and as I found Alfred enjoys a well founded reputation for being Gibraltar’s number one authority on jigging. Alfred has caught many mighty sama bream including specimens to well over 20lb on jigs, he had an eighteen pounder days before my visit, along with numerous other species including grouper and, wait for it, bass to 21lb 8oz! Of course many of you will know that I am something of a species fanatic myself, and aside from the possibilities of catching some of the larger bream species, what had really fired my imagination prior to this trip was the chance to actually catch some of the less common species that are occasionally caught here in the UK. 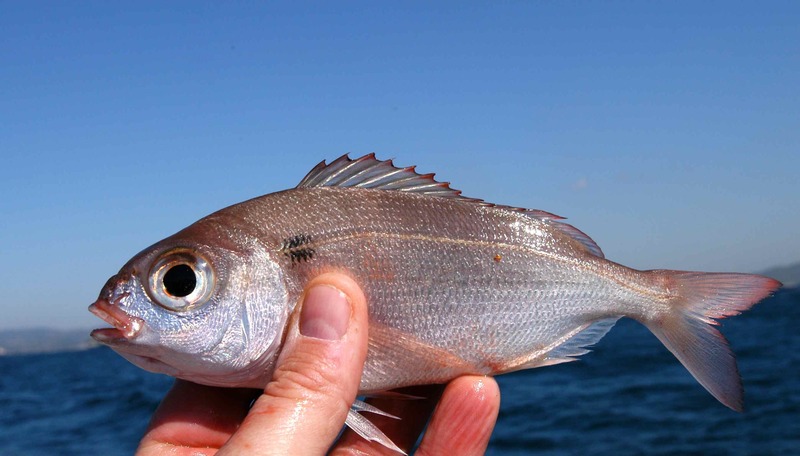 Especially I wanted to finally tick off the red bream, a species that has eluded me for years, and I had also been told there was a better than slim chance of catching an elusive Pandora’s bream, a beautiful species that is only rarely seen in British waters. Catching a bluemouth, I had been told, would be a mere formality! 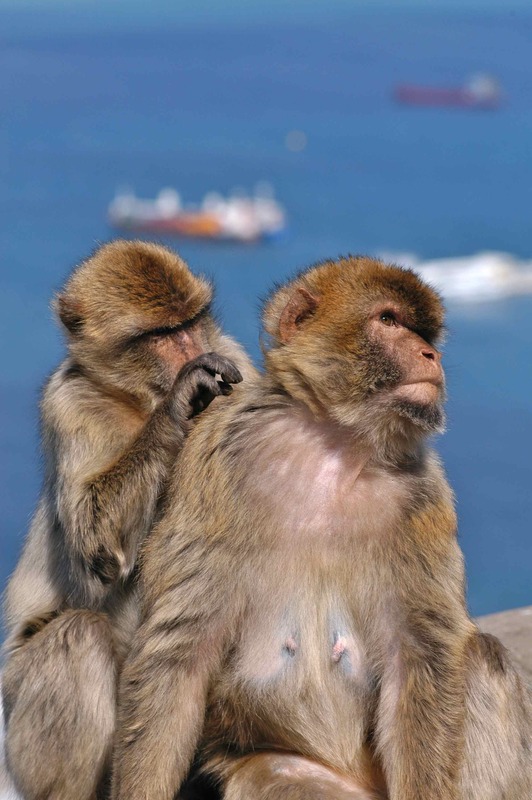 My arrival at Gibraltar coincided with the worst storm this isolated colony had experienced for many a month. Standing on the sea front facing across the bay towards Algeciras on the Spanish coast, there was little to see other than a mass of wild, foaming, wind whipped white caps. The steep waves were relentlessly buffeting the many huge ships that lay at anchor just offshore, their high salt encrusted bows facing directly into the howling north easterly gale, the ensigns from a dozen or more different nations flapping madly from their respective mastheads. Day two brought much the same in terms of bad weather, so of course the fishing was cancelled. 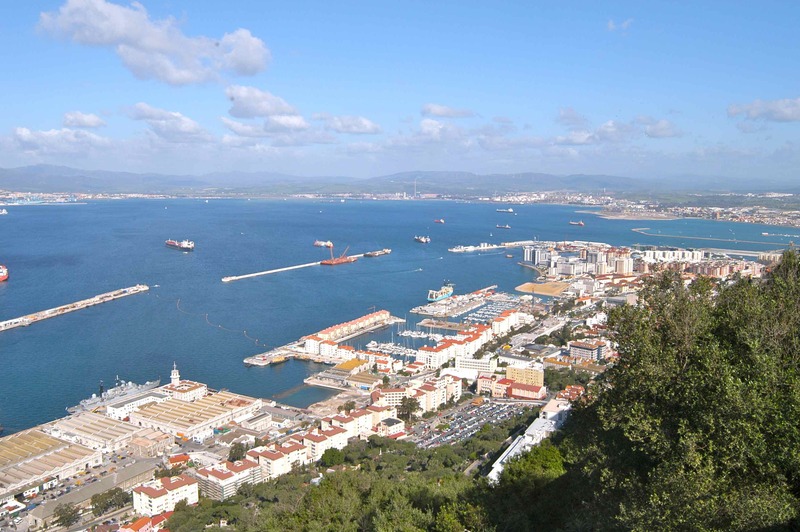 I took the opportunity to take the obligatory tour up the rock to view the impressive caves that over millennia have been carved deep in the limestone, the various military installations marking hundreds of years of occupation and, of course, Gibraltar’s famous resident population of Barbary Macaques. Later we relocated at a wonderful local tapas bar, where not only was I treated to possibly the finest seafood lunch I have ever experienced on any fishing trip, but also the welcome news that conditions were forecast to improve the following day. We were up before the sun on day three, and yes, the wind had dropped significantly. 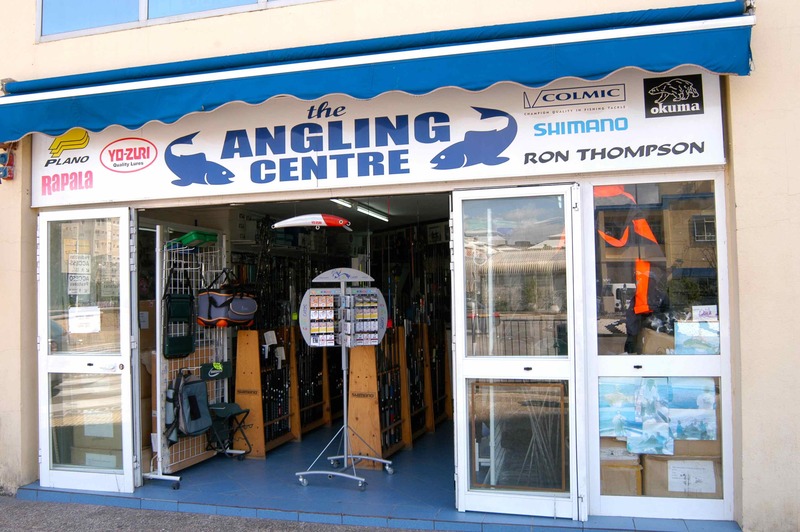 Apart from being the owner of ‘The Angling Centre’, Gibraltar’s premier tackle shop, Bernard Wright is a keen angler who has represented Gibraltar in many major EFSA competitions around the world. The big man is also the owner of the impressive Rodman sports fisher we would be fishing from that day. It was a short run down to Europa Point from the marina on Gibraltar’s western flank, from where we headed on a north easterly course into Catalan Bay to what I had been reliably informed was the local bream hotspot; Two Mile Reef. The problem was someone had beaten us to this locally famous mark I had heard so much about, but there’s not too much you can do when you find a 100,000-ton bulk carrier anchored with poetic precision slap bang on top of your favourite waypoint! 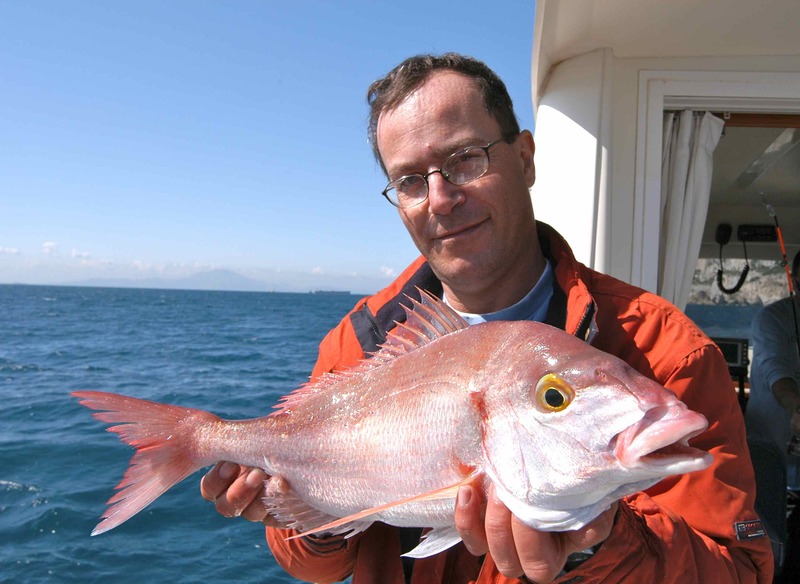 Clearly disgruntled, Bernard ran us back inshore to a second albeit smaller reef that lay in about 100ft of water, and by the time the sun started its daily ascent above the eastern horizon we were sat at anchor and ready to fish. Here in the UK we often talk about using light tackle for bream, and for many boat anglers that means a 12lb or even 20lb class boat rod rigged with, depending on where you fish, up to a pound of lead to counteract strong tides. They favour light tackle in Gibraltar, too, only here when they say light, they mean light! The rods we were to use were little more than trout spinning rods complete with an ultra sensitive quiver tip and a small fixed spool reel loaded with micro-fine braid, the reel clutch set very lightly. We had a handsome selection of baits that included live shore and swimming crab, the largest hermit crab I have ever seen, the ubiquitous frozen squid, and a type of clam the locals referred to as ‘conch’. These were, I had been told, by far the best bait for the various species of bream I wanted to catch so not surprisingly these were what I elected to use. I was shown the local way of presenting conch, which was simplicity in itself. The thin braid main line is tied to a small swivel, off which hang two 3-4 foot droppers, which terminated in very small, very strong hooks in what I can best describe as a Wishbone Rig. 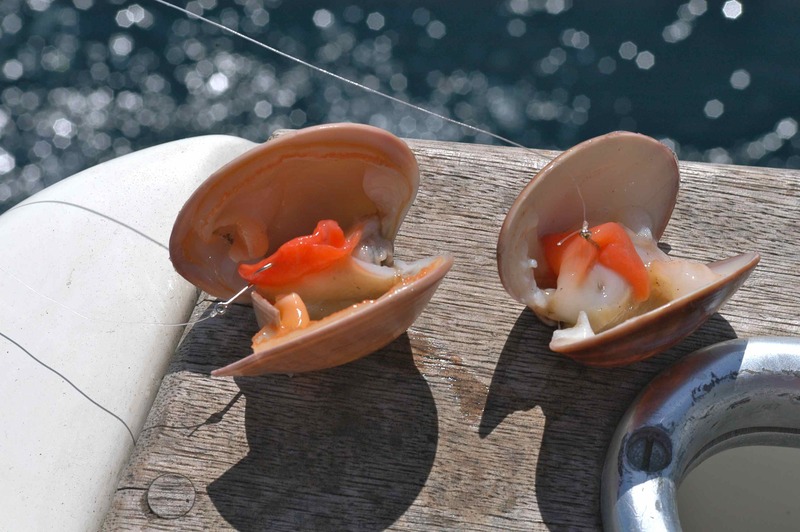 I was shown how to partially open the live shellfish with a blunt knife then bury the hooks in the firm white, juicy meat revealed inside. And that was it. All I had to do now was gently lob the baited rig a few yards down tide, allow it to sink slowly but surely down to the reef and then wait for the classic hard rattling pull and tug of a bream; which didn’t take long! First into a fish was John Neish, Bernard’s partner in the boat. Stylishly dressed in a designer Kappa shell suit, John played his first fish with well practiced panache, holding his ultra-light wand of a rod at arms reach, while allowing the responsive quiver tip to react to each and every twist and turn of the fish he had hooked, which turned out to be the first of a huge amount of double banded bream we caught that day. Often we boated these stunning, fin perfect, platinum flanked beauties that averaged between 1-perhaps 2 1/2lb two at a time, all hard fighting fish that provided wonderful sport on such light tackle. 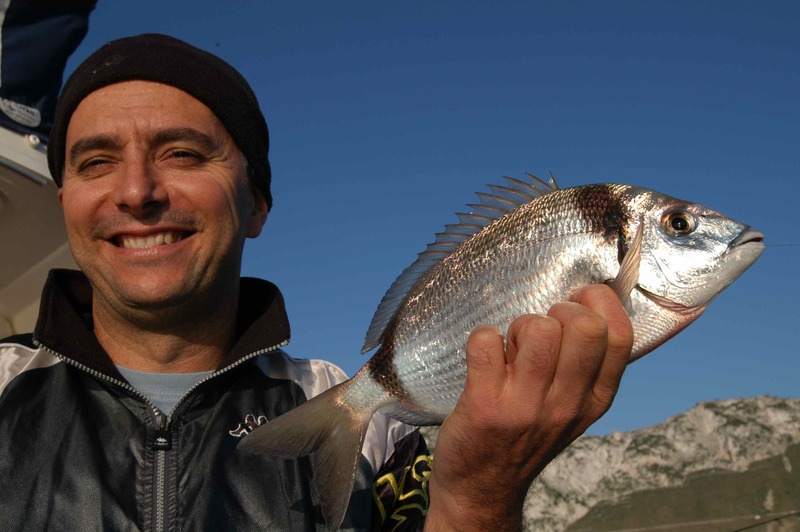 For the first hour following daybreak it was mostly double-banded bream we caught along with an occasional black or white bream. I caught my first comber, a small colourful reef fish that are so common as to be regarded as a bait robbing nuisance in Gibraltar, and I also caught a Couch’s bream, a species I had previously caught once before in Falmouth. Bernard and Alfred explained that unlike other bream species that favour hard ground, the Pandora bream was typically caught over sandy ground, where they feed by digging tasty morsels out of the seabed using their protruding mouths. Skilfully, Bernard released an additional 20 yards on anchor rope that allowed us to sit further back over the very edge of the reef, thus ensuring our baits would now be presented over clean ground. It was a neat and very simple trick, and it worked beautifully! Alfred quickly caught the first Pandora’s bream, a truly stunning red/pink coloured species with indigo speckles splattered along its upper flanks. John quickly caught a second followed by a second for Alfred second and yet another for Charlie Lara, the fifth member of our crew. I, too, was catching fish at a steady pace, but all were either double banded or black bream while the others continued to boat good Pandora’s bream at a steady rate, including some respectable specimens up to 4lb plus. Then finally it was my turn, and even though it turned out to be barely 2lb in weight, as I fought it on my light rod I had been convinced my first Pandora’s bream had been more than double that size; this species really does fight exceptionally hard. After a full mornings bream fishing during which we all caught a great many fish, it was time for a change. Red Bream and bluemouth were on the agenda now, and Bernard informed me that he knew just the mark. The problem was it lay in 6-700ft of water and with this in mind he produced an electric reel. This I declined explaining that no, I only wanted one of each species and I’d rather do it the traditional way. 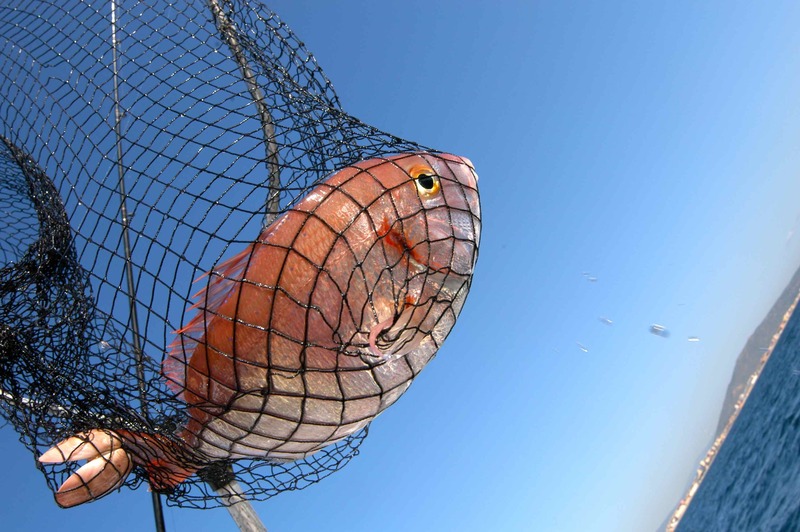 When we arrived at the mark, back on the western side of the rock and yet again surprisingly close to shore, I baited a six hook paternoster with whole baby squids, clipped on a 1lb lead and dropped it down into the deep water. On and on it fell for several minutes, while John maintained the boats position using low engine revs. The line level on my reel steady reached then went beyond the halfway mark until finally I felt the lead tap bottom followed seconds later by the unmistakeable rattle of a bite. “There’s your bluemouth Dave, all you have to do is reel it in,” Bernard declared not attempting to hide the broad smile on his face! Luckily I was using my super smooth Torium16 reel with it’s 6.2:1 retrieve, and recovering such a lot of line the weight and fish was surprisingly easy. And Bernard was right, I had caught my first bluemouth and during the next hour I added another dozen, but despite a few changes of position the one species I had really wanted to catch on this trip, the red bream, eluded me. The next day was my last in Gibraltar and we were out with local bass expert Tony Ferro, the plan being to fish live swimming crabs for bass. Charlie Lara was also out again aboard his Jeanneau, along with a friend called Nigel, and while they went straight to one of Charlie’s bream marks, we proceeded to drift for bass very close inshore off Europa Point. The bass fishing was very slow and like us most of Tony’s friends who also specialise fishing crab for bass failed to get a fish that morning, but one, a local called Dino, was able to hold proudly hold up a trio of fish he’d taken earlier that morning. Apparently, he told us, he had also caught and unfortunately already given away a rare spotted bass…now there’s a species I’d like to add to my list! Moving marks took us close to where Charlie and Nigel were bream fishing, and frantic waving confirmed they, too, had had some success. Charlie had caught a small grouper and a respectable white bream, while Nigel proudly held up a cracking gilthead bream of 4-5lb. 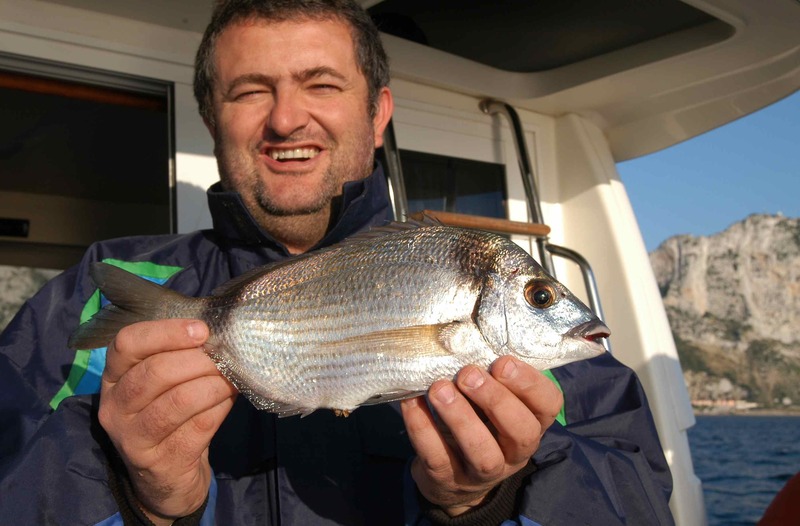 Gilthead are a species held in especially high esteem by the local angling community in Gibraltar not only for their legendary sporting qualities, but these are one of the most popular table fish. Try as we might we could not catch a bass, and with the change of the tide and an ever increasing wind, Tony gave the disappointing news that our window of opportunity that morning had come and gone. Before heading back into the marina he offered to give me a final shot at nailing a red bream, and like Bernard the day before took us to a ridiculously deep mark where I lowered my baited trace and Alfred lowered his. As our respective rigs reached the bottom we both instantly detected bites and moments later began the admittedly laborious task of retrieving our fish. 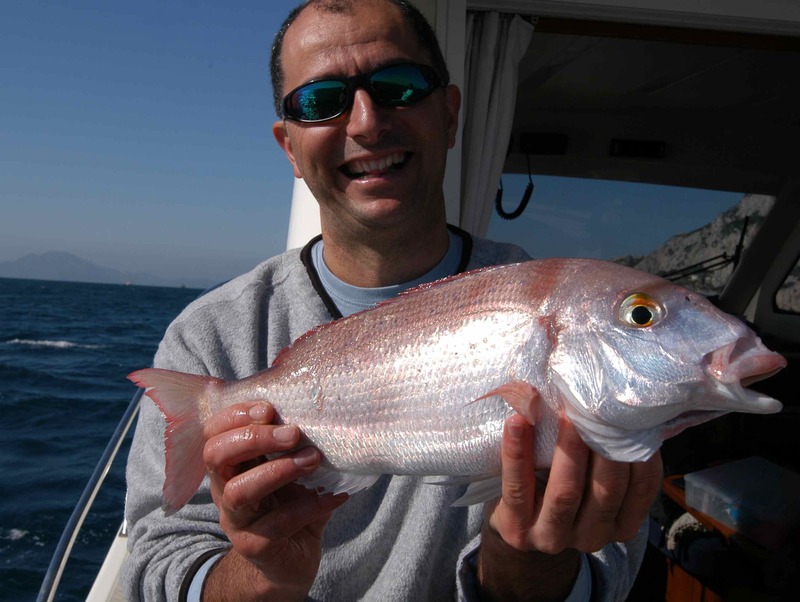 Alfred was the first to reach the surface and my spirits lifted when I saw he had caught not one, but two red bream! As my fish finally came into view I was absolutely delighted to see I’d caught three fish…the trouble was they were all bluemouth! Once again I dropped down and once again I caught only bluemouth, and took little consolation from the fact that on the next three or four drops, like me Alfred caught strings of bluemouth. Clearly Tony was keen to call it a day and declared we had time for just one final drop. Again I lowered my rig to the bottom. Again I instantly had a bite and yet again I painfully wound the lot back up. Long before the fish reached the surface I could see down into the deep clear water that I’d hooked another ‘double’, and it came as no surprise to see the top fish was, you’ve guessed it, yet another bluemouth. But guess what, a bit of that ‘Lucky Lewis Luck’ had finally rubbed off and there, neatly hooked on the bottom snood of my trace, was my first red bream, a tiny little thing of perhaps 4oz at best…but hey, whose counting! Okay its a baby, I know, but this was my first Red Bream! Gibraltar is easy to reach from the UK involving either a direct flight or as I did flying via Malaga in Spain, a 90-minute drive away. Where in Gibraltar is the shop?? Fast reply would be good. Unfortunately I have been told the tackle shop I mention has now closed. Great to hear from you but I’m really sorry I don’t think I can be of much help. My main contact there used to be the tackle shop listed in my blog, but apparently its been closed for some years now. 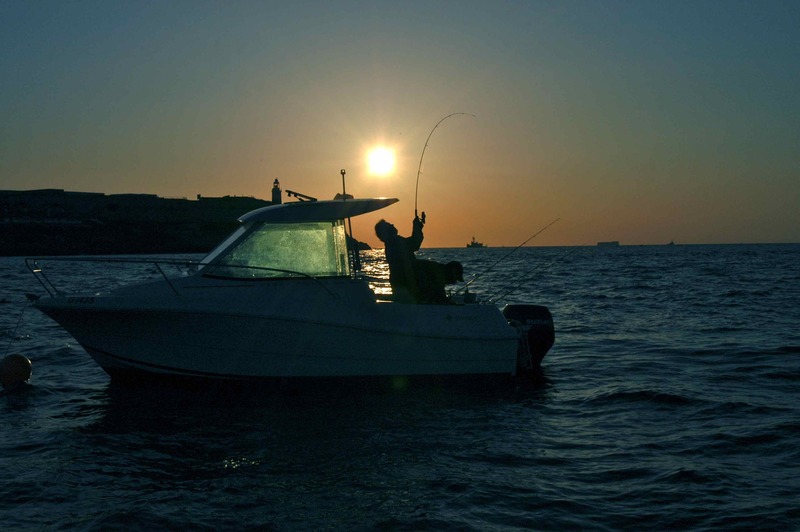 There is a large sea fishing club based in Gib, you might find it on Google? If you do manage to sort anything out I’d very much like to hear from you. Good luck & thanks for getting in touch. 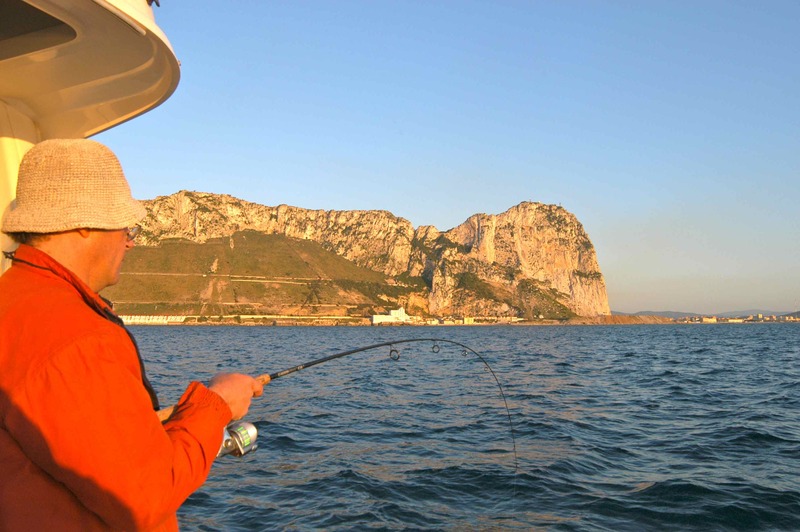 I’m based in Gib and fish in the Gibraltar Fishing Club. There are some very experienced locals on there, google it and give them a bell. They should be only to happy to help.